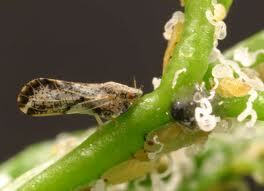 Today Gavin Iacono, Deputy Commissioner/Sealer, Standards & Quarantine, Tulare County Agricultural Commissioner/Sealer Office, commented on the invasive find on Citrus Psyllid in Porterville and the possibility of a quarantine. Iacono said that the State and USDA were still waiting to determine if they have met the criteria to decide if there is an infestation. Yet, growers are concerned this can be a newly established population. “This is good news,” said Iacono.